Adding the 「我」to the above phrase makes it a bit softer and more polite. She said this was because it was not uncommon to be approached by vendors on the street who might be inclined to pester foreigners. I actually didn’t find this to be the case very often. Maybe I was shopping in different places than she did. Still, even if I was getting desired help in a store, those words proved very useful for communication. Most places I shopped, the sellers were quite willing to be patient with my attempts to speak Chinese. For one thing, that was the only way they were likely to get a sale; but some seemed to genuinely enjoy helping me practice. 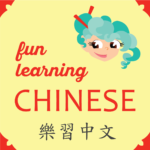 The hardest part was inevitably tuning my ear to distinguish their response, so I strongly recommend practice listening, such as to the audios associated with my blog, to get your ear more accustomed to recognizing the Chinese language. 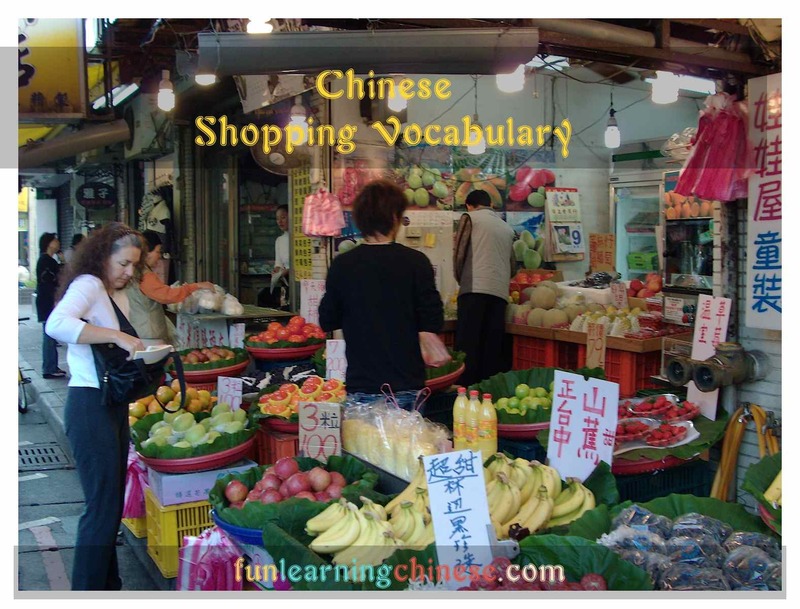 Below is an array of shopping related vocabulary that you may find useful if shopping some place Mandarin Chinese is predominantly spoken. The emphasis will be on how it is spoken in Taiwan, but from what I am told, most Mandarin speakers know of the idiosyncrasies of language in other regions, so it can be helpful anywhere. 店員 (dian4 yuan2) (store + member, someone engaging in a particular field of activity) thus, “shop assistant” This is the more modern term used. 伙計 (huo3 ji4) (companion, to combine together + to calculate or count) “shop clerk” This is more old-fashioned. 伯伯 (bo2 bo.) Technically “uncle, “ but frequently a friendly term of respect for an older male, which sometimes ends up being in the context of them being the shopkeeper. 叔叔 (shu2 shu.) is the designation for uncles younger than your father, so can be used similarly for men younger than your father, but in his generation. I am in international trading. I work with beverage franchise stores. Do you see how this is the same as the previous sentence, just with 「麵包」, which means “bread,” added to describe the type of store? I buy a lot of things via the internet. The words for “this” (這個, zhe4 ge.) have been added in the front of the previous sentence. Can it be a little bit cheaper? Is this your stores’s best price? I like the quality of goods that this store sells. Department stores will all have premium discounts around the New Year and the holidays. (you) (to want) (swipe card) (or) (to pay) (fresh money). Do you want to pay with a credit card or cash? Here is 20 (monetary change units of coin) in change. My tutor says that sometimes people are lazy and leave the「給」out of the previous sentence.